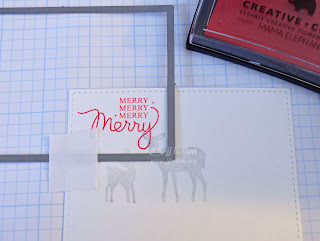 For the sentiment, I used the stitched rectangle die to cut a custom-sized frame. This is easily done with any large dies. I die cut a rectangle first and then stamped the sentiment into one of the corners. (The picture below is a different card, but you get the idea;) After stamping, position the die over the sentiment and put it back through the die cut machine. Pretty coloring, JJ. I really like the stitched panel. You come up with such good ideas. 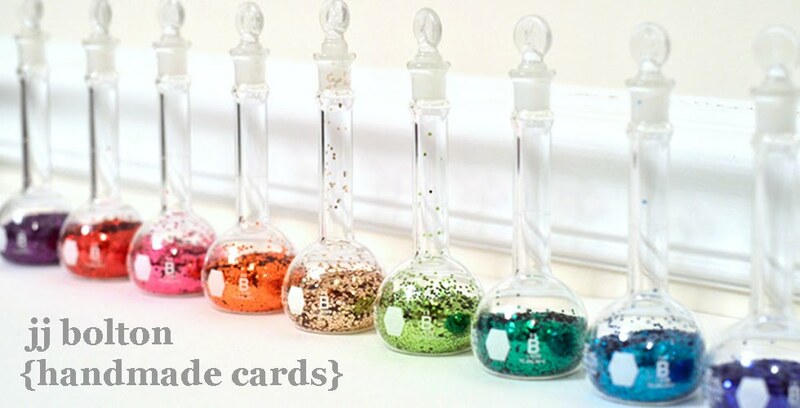 Great way to stretch your dies! Love the raised panel! this is like a special effects card! love it!! This is such a charming Christmas card, JJ! 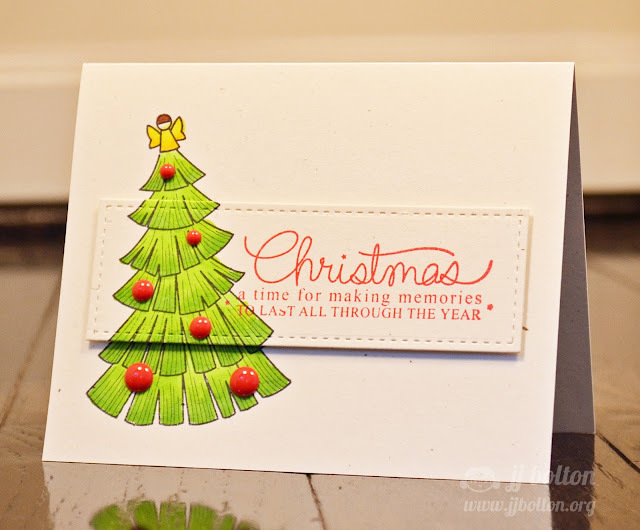 I love how you stamped the tree on both layers and the enamel dots are so sweet! Awesome Christmas card! 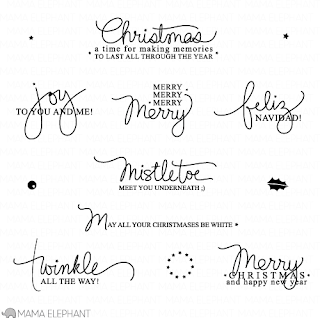 That lil' angel and enamel dots are adorable. 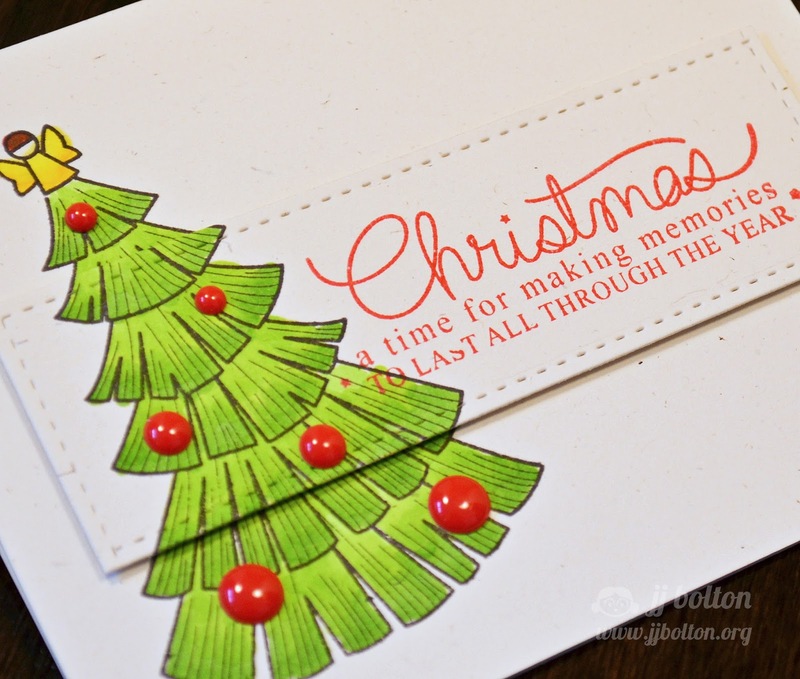 Such a fun way to highlight the sentiment and a portion of that cute tree. It's like magic! LOL! Love this card and how you created it! Really lovely card! Love the colouring and how the stitched panel gives it a little more interest. Very clever indeed!! One cute and pretty tree! I love your creativity on stamping it! Love how you showed us how to make the custom size - it never ever would have occurred to me to try! another stunner! LOOOOOOVE that you popped up the sentiment and part of the tree!! it's such an amazing idea with a huge effect!! and psh - your coloring is fantastic!!! love it!! and the enamel dots are perfection on that festive tree!! just a wonderful card! !